This paper reviews models and tools emerged in recent years in the author’s work in connection with the discovery of interesting or anomalous patterns in sequences. Whereas customary approaches to pattern discovery proceed from either a statistical or a syntactic characterization alone, the approaches described here present the unifying feature of combining these two descriptors in a solidly intertwined, composite paradigm, whereby both syntactic structure and occurrence lists concur to define and identify a pattern in a subject. In turn, this supports a natural notion of pattern saturation, which enables one to partition patterns into equivalence classes over intervals of monotonicity of commonly adopted scores, in such a way that the subset of class representatives, consisting solely of saturated patterns, suffices to account for all patterns in the subject. The benefits at the outset consist not only of an increased descriptive power, but especially of a mitigation of the often unmanageable roster of candidates unearthed in a discovery attempt, and of the daunting computational burden that goes with it. The applications of this paradigm as highlighted here are believed to point to a largely unexpressed potential. The specific pattern structures and configurations described include solid character strings, strings with errors, consensus sequences consisting of intermixed solid and wild characters, co- and multiple occurrences, and association rules thereof, etc. It is also outlined how, from a dual perspective, these constructs support novel paradigms of data compression, which leads to succinct descriptors, kernels, classification, and clustering methods of possible broader interest. 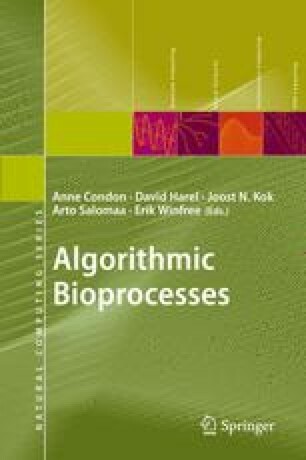 Although largely inspired by biological sequence analysis, the ideas presented here apply to sequences of general origin, and mostly generalize to higher aggregates such as arrays, trees, and special types of graphs. Work supported in part by the Italian Ministry of University and Research under the Bi-National Project FIRB RBIN04BYZ7, and by the Research Program of Georgia Tech.